Deluxe rooms are our standard 220 sq feet rooms having a partial mountian view and modern amenities along with 2 single size beds. The thoughtfully designed and spacious Deluxe Rooms exude fine attention to detail combined with contemporary style. Comfortable, thick mattresses and soft, down pillows guarantee a restful sleep while luxury bath amenities add a touch of sophistication. 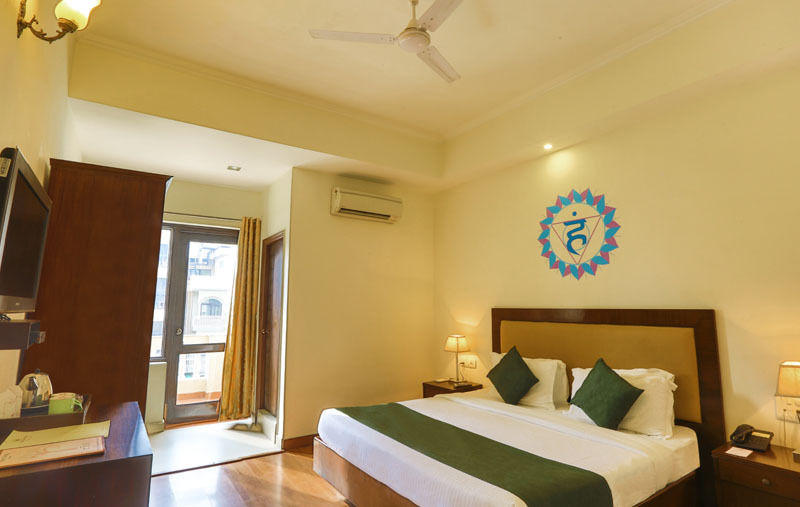 These hotel rooms have abundant natural light filtering through the large windows, refreshing decor and a relaxing ambience Guests can also enjoy complimentary high speed Internet access. 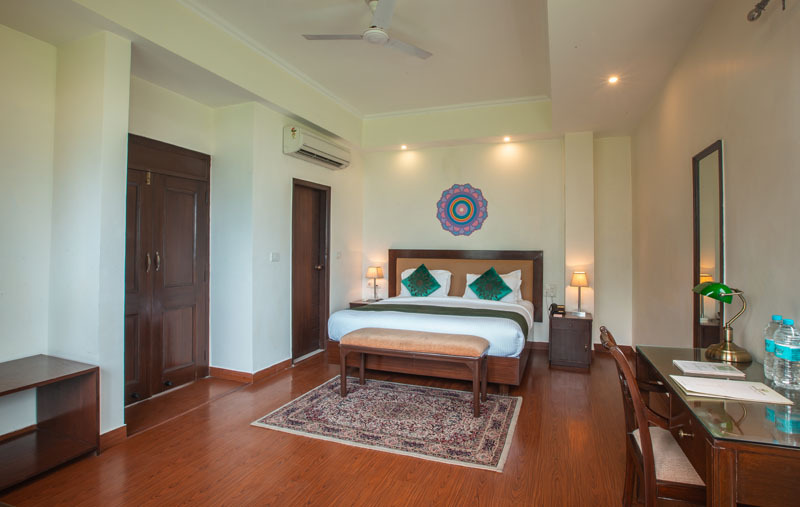 Each deluxe room offers partial mountian view to pacify the wandering mind and soak the calm nature around. We understand our guest needs for a peaceful and calm environment after a hard day’s work. We respect the need for ones own space and our large rooms are built to provide you the perfect blend of modernity, comfort and luxury. The rooms are with fully equipped with working desk to fulfill all the requirements of the Business Travelers as well. The graceful design and well-furnished beds make sure that you cherish your stay here. 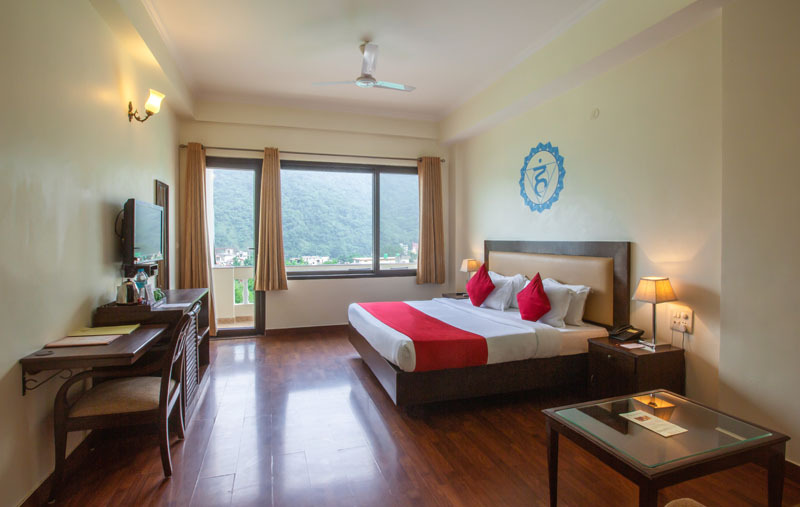 Super Deluxe rooms are 240 sq feet rooms having a panoramic 180 degree view of the mountains and our swimming pool. .